In brief: Do you feel like stories on the declining tablet industry have been going on for years? That’s because they have. The slate market has shown YoY falls for fifteen quarters in a row, and Q2 2018 didn’t bring any improvements, with only Apple and Huawei seeing yearly growth. According to IDC’s latest findings, 33 million tablets were shipped in the second quarter of the year, marking a 13.5 percent decline compared to the same period in 2017. The report includes slates and detachables, such as Microsoft’s Surface Book line. What’s especially concerning is that in previous years, the tablet market’s YoY decline could be measured in single-digits, but it fell in double-digit figures during both quarters of 2018. Apple remained the top tablet vendor by a large margin and was one of only two firms to experience a shipment increase—if only by 100,000 units. With the market declining so much, Cupertino saw its share jump 5 points to 34.9 percent. 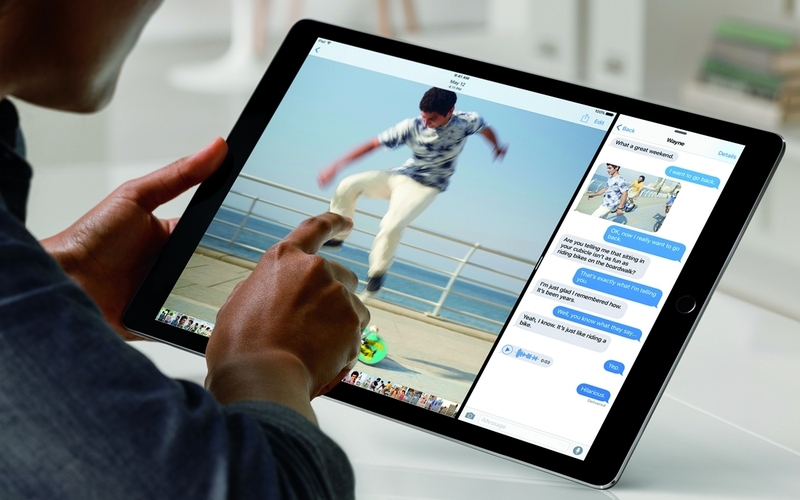 Apple recently said iPad purchases in Asia are booming, and its latest, cheaper iPad has also helped boost sales. It was a good quarter for Huawei. The Chinese giant, which recently overtook Apple as the world’s second-largest smartphone vendor, saw shipments increase 7.7 percent, though it remains behind Samsung. The Korean firm’s shipments fell by a million units YoY, but it hung onto second place thanks to the 5 million tablets it shipped. 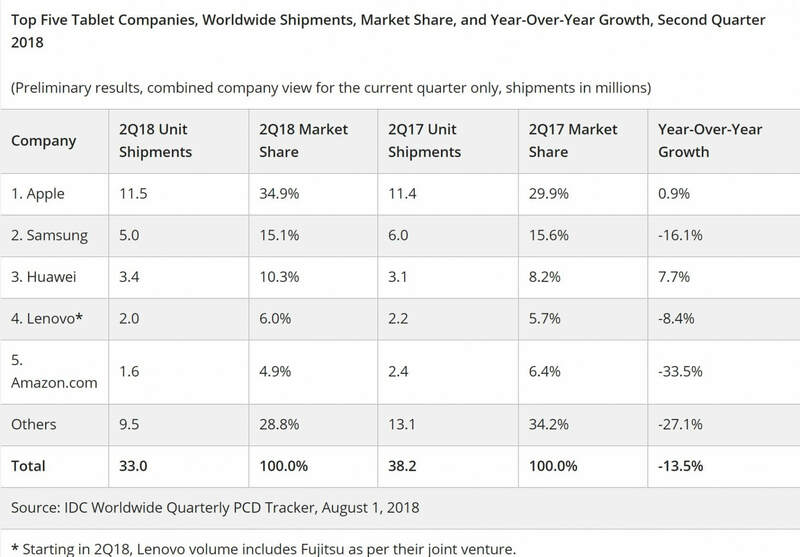 According to IDC research analyst Jitesh Ubrani, the tablet market’s future isn’t as bleak as one might think, and he notes that the detachables segment is experiencing growth. “The detachable market is at a crucial stage as it has been driven primarily by premium products from Microsoft and Apple and growth has slowed in recent months.” He said.